Virtually every activity, task and decision we make at our organizations is part of a business process. For example, when I submit a vacation request, I’m starting a process that continues to my boss, who can approve or reject my request. In Laserfiche Forms, you can create an electronic version of form-based business processes like this one. 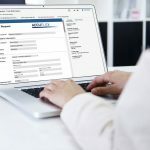 A Laserfiche Forms business process captures information via Web-based forms and automatically routes that information to the appropriate participants. In addition, Laserfiche Forms business processes can use that information to send e-mails, start workflows and update other applications. Capture and work with information in Web-based forms. 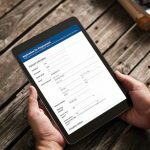 Use public forms to extend participation to users beyond your organization. Integrate with Workflow for processing outside of Laserfiche Forms. 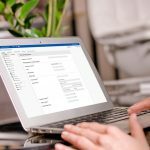 Send e-mail notifications to participants. Save submitted forms to your Laserfiche repository. On the Manage page in Laserfiche Forms, you can create and administer business processes. In the middle of the screen, you’ll see a list of all business processes your security roles allow you to see. You can search this list with the search tool in the upper-left corner and sort it using the Sort drop-down list. 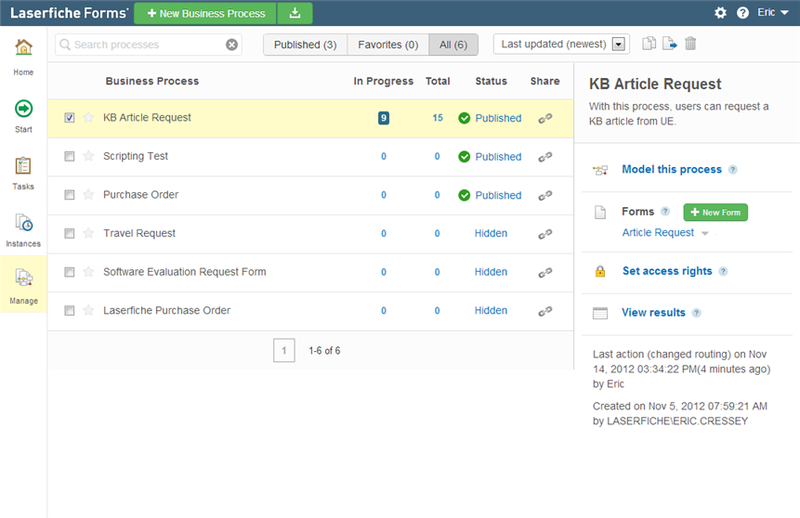 To create a new business process, click on the New Business Process button. Or, you can import a business process by clicking the Import button. Once you’ve created a business process, you’ll need to create the forms that process will use and build the process in the Process Modeler.